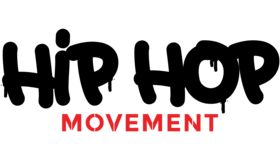 How to Create a Hip-Hop Logo? An eye-catching hip hop logo is an easy-to-remember emblem that will help a band become a chart leader in terms of awareness and popularity. A melodic-sounding name and an intriguing picture will create the band’s image and promote the brand in its respective niche. The icon, along with the theme picture, should include the band’s name. This will help listeners remember the name and associate the logo with the rapper and his music. An excellent example is the logo of the fabulous band Onyx. Your icon should appear on the band’s official website, CDs, posters and promo gifts. Because of the rap subculture’s specific character and origin, fans will like the image more if it has a monochrome design, as a tribute to the first manifestations of the underground culture – black-and-white graffiti. Elements in one or two bright colors are allowed.